Pumpkin, an 8 week old born to a Ducktoller mother, one of 15, is quite the charmer. He is not afraid, is confident, and obedient. This guy seems to always respond to what you are saying to him. 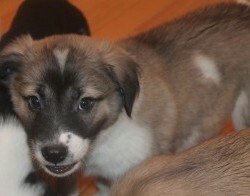 Parker, an 8 week old boy, looks the most like his mama, a Ducktoller named Penny. 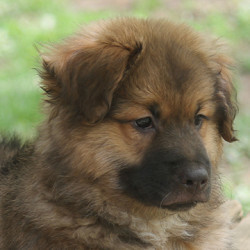 Phoenix, one of 15 puppies born to a Ducktoller Retriever 8 weeks ago, is an absolute stunner. Palmer, born 10 weeks ago to a Ducktoller Retriever, is an absolutely adorable guy. 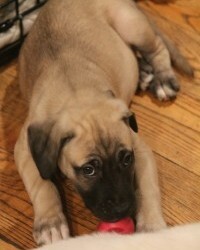 He picks up his toys, engages the others of the litter, and gets them to play too. Cudi, a 2-3 year old, 65 lb. Lab mix is an absolute doll. Fun, playful, cuddly, and curious he is just a happy guy. 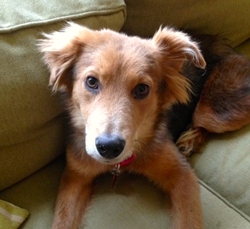 Anna, a 6 month old Sheltie/Shepherd mix weighs about 35 lb. was brought to the shelter with her mama and her sister (Elsa). Anna and Elsa had collars embedded in their necks that had to be removed. 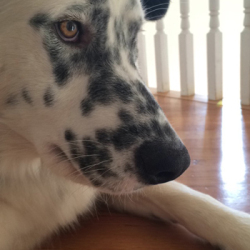 Buddy, an absolutely stunning 63lb., 1 year old Dalmation/Pyraneese mix, (though his breed is more affectionately known as ”… just mixed up the most handsome dog ever”) is about as good a boy as they come. 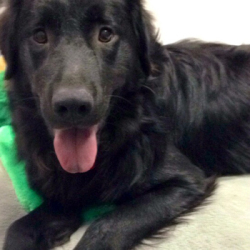 Poe, a beautiful, 10 month old, 50 lb., Flat Coated Retriever mix is a real gem. Barley, a 2 year old, 30 lb. 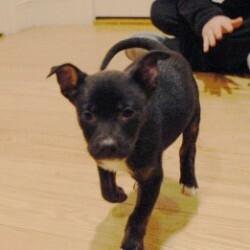 Terrier mix is an absolute love. 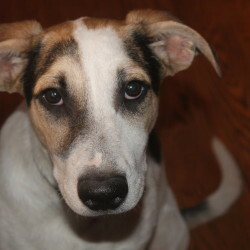 Hannah, a 25 lb., 5 month old Italian Greyhound/Pharaoh Hound mix is absolutely awesome. Found in the middle of the road on a cold night in the middle of nowhere, Hannah warms up to her people quickly. 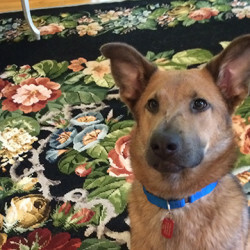 Ozzie, a 50 lb., 7 month old Belgian Tervuren/Aussie mix, is a sweet gem of a boy. 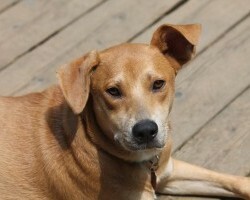 Hope, a 45 lb., 8 month old, Carolina Dog mix is a dream of a girl. With ears that can’t decide which direction to go, one is going increasingly up and the other, increasingly down. 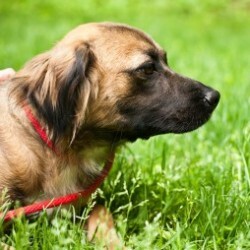 Olivia, a 55 lb., medium sized, 4 year old, female Belgian Tervuran mix is just about as sweet as they come. 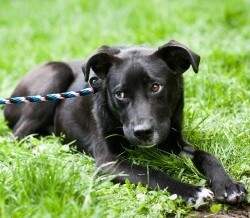 Achilles, a 5 1/2 month old male Lab/Border Collie mix is a great combination of charm and smarts! Flower, a 10 lb. 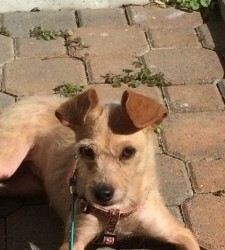 1 year old, Yorkie/Chihuahua mix is an amazing girl. 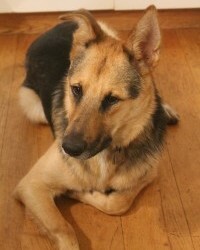 With her beautiful caramel coat and ears that can’t decide where they want to land, Flower is a really special girl. 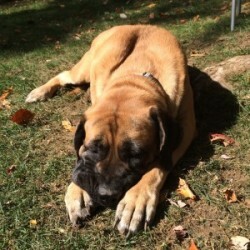 Rosie, a 100 lb., 2 year old, purebred English Mastiff is as true to her breed in being a gentle giant as they come. 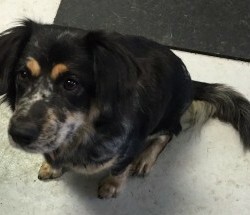 Sade, a beautiful 4 year old, 35 lb., merle Aussie/Sheltie mix is a very cool, easy going sweetheart. Maybelle is a very special girl indeed. A 12 lb., white Powder Puff, with gorgeous big dark eyes, she is just as sweet as they come. 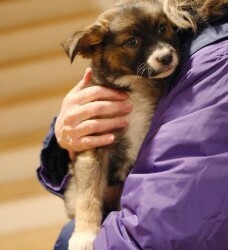 Owen, not to be mistaken for an Ewok, is a stunning, very fuzzy, very soft, nine week old, male Aussie/Shepherd mix. 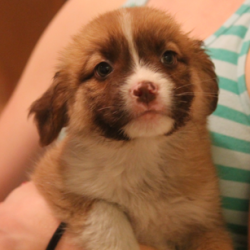 Orlando, about as handsome as they come, is a tan, soft, fuzzy, nine week old, male Aussie/Shepherd mix. 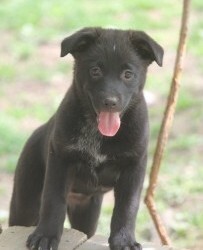 Ontario, is a nine week old, female, short haired black Shepherd/Aussie mix who has the cutest curly tail. Very smart, somewhat bold in trying out new thins, and very easygoing, Ontario is a happy girl who walks with a bouncy step. Teddy, a 48 lb., one year old, male, Shepherd/Collie mix is a really loving, goofy guy who is happy to be with his family, doing whatever they are. Oscar, an unusual looking, male, nine week old Aussie/Shepherd mix with the cutest nose, is always the one to draw comments on his cuteness. 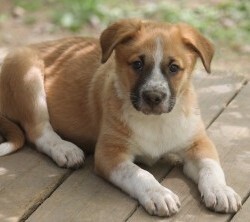 Odie, a nine week old, tan, male short haired Aussie/Shepherd mix, with the most adorable freckled nose knows he is the cutest guy in the world. 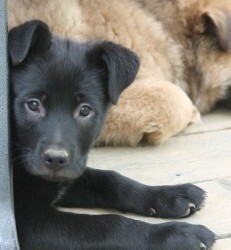 Oakley, a nine week old female, soft and fluffy black Shepherd/Aussie mix comes immediately to you when she knows you. Quinn, a 2 year old, 45 lb., male Shepherd/Shiba Inu mix is a cool looking boy with a great coat that has wings of light coloring. 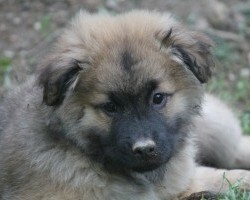 He likes and plays with other dogs, and is respectful to them. 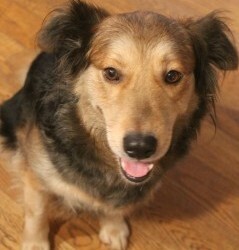 Betty a 35 lb., 2 year old, female Aussie/Sheltie mix is a beautiful and exquisitely soft and silky girl. 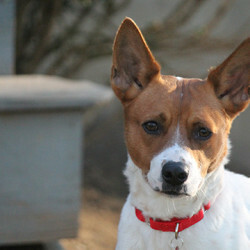 Red is a 2 year old female who has the beauty and looks of a Red Cattle dog, without the size or the herding personality. 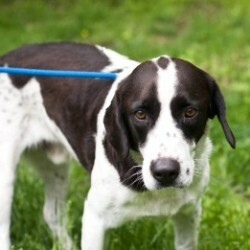 Otis, a 45 lb., male, English Springer Spaniel/Basset Hound mix is a real ham, who everyone loves. 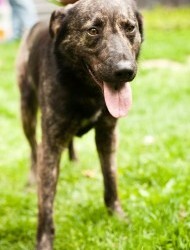 Sam, a year old, 50 lb., male, Dutch Shepherd mix is a friend to everyone. This sweet guy plays with any dog he meets, has a very gentle demeanor, a quiet lope to his walk, and is easy to get along with. 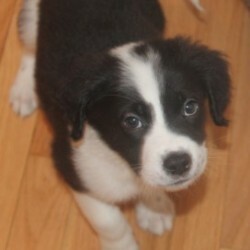 Calvin, a 12 week old, 12.lb., male Border Collie/Spaniel mix is an absolutely adorable, but very feisty little guy. 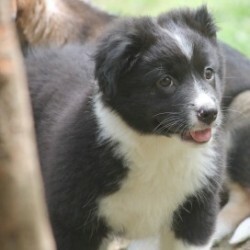 Oreo a nine week old, short haired black Shepherd/Aussie mix is the cutest little boy with his speckled legs and brown highlights on his head. Bailey, an adorable 35 lb., 11 month old female, Finnish Lapphund mix is symmetrically colored with a silky black and tan, long haired coat. 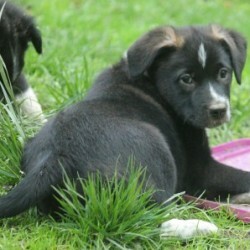 She is a real doll who loves romping around the yard, playing with another dog, no matter their size. Leyla, a 1 1/2 year old, 42 lb., Sheltie/German Shepherd mix is one of the most affectionate dogs her foster family has ever met! 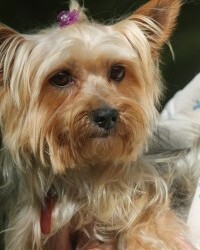 Susie, an absolutely stunning, 7-8 lb., 3 year old, probably pure bred, Yorkie is a really sweet girl. 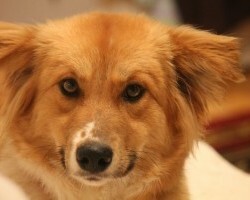 She is nice with other dogs, is in love with her people, and is simply delighted to be with you anywhere you go. Oliver, affectionately known as Ollie, is a 48 lb. 7 month old, dreamboat of a mama’s boy! 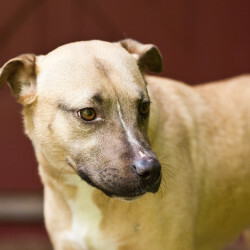 Bella is a 50 lb.,1 1/2 year old, female, Canaan Dog mix with a lovely mocha color. With the sweetest love to offer, Bella absolutely loves her family and just about anyone she meets. 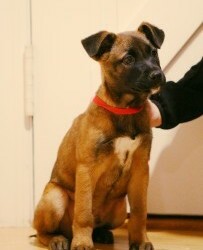 Junior is a male, 45 lb., Belgian Malinois/German Shepherd mix full of personality. Maisey, an 8 lb., 8 week old, black and white, female Retriever/Irish Setter mix (on her mama’s side) is one of 13 pups born to Misty. Brought to a shelter at 3-4 weeks of age in S. Carolina when the frigid temperatures made it too cold for them to continue to live outside, this girl has the cutest little freckles on her face. Misty, a 2 year old, 55 lb. Flat Coated Retriever/Irish Setter mix was just finishing up the care of her 13 puppies (yes, 13) born almost 7 weeks ago. 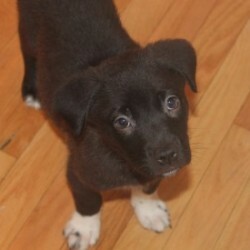 Maddox, a 10 lb., fluffy, 8 week old male Retriever/Irish Setter mix (on his mama’s side) is one of 13 pups born to Misty. 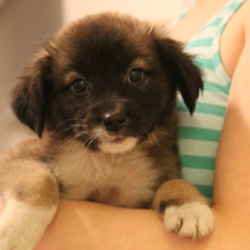 Manning, a fluffy, 10 lb., 8 week old, male Retriever/Irish Setter mix (on his mama’s side) is one of 13 pups born to Misty. 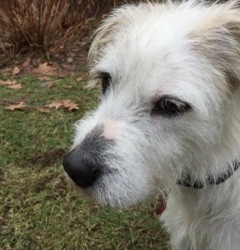 True to his namesake, Manning is the quarterback of his litter; he calls the plays for getting into trouble and the others follow his lead. Mickey, a 10 lb. 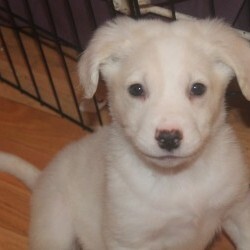 fuzzy, white 8 week old Retreiver/Irish Setter mix (on his mama’s side) is one of 13 pups born to Misty. 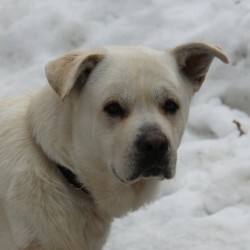 Bear, a male, 65 lb., three year old Lab/Mastiff mix is an amazing guy. He is friendly to everyone he meets and easy to have around; that is, if you don’t mind his nudging you for loving with his big heavy goofy head. 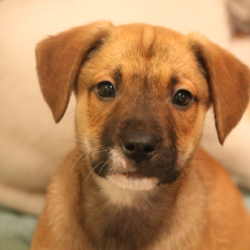 Muffin, a 9 lb., 8 week old, tan, short haired, female Retriever/Irish Setter mix (on her mother’s side) is one of 13 pups born to Misty. Markey, an 11 lb. 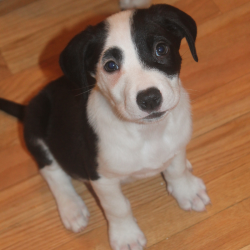 black and white, 8 week old-Retreiver/Irish Setter mix (on his mama’s side) is one of 13 pups born to Misty. 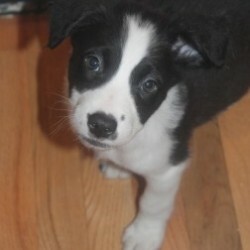 Mikey, a 9 lb.,fluffy black and white, 8 week old Retreiver/Irish Setter mix (on his mama’s side) is one of 13 pups born to Misty. Nassau, a 9 week old 8 lb. 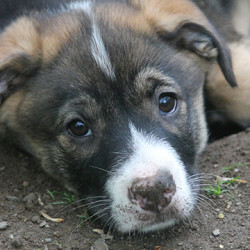 mix is the smallest of the trio of sisters (including Nevada and Nebraska, also listed), but is by no means a runt. Friendly, spunky, funny, goofy and cuddly, this little girl is the first one to notice her people and to get into the mix of action with them. 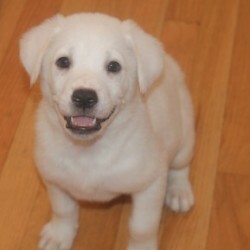 Maple, a 9 lb., fuzzy white, 8 week old Retreiver/Irish Setter mix (on her mama’s side) is one of 13 pups born to Misty. Mac, a shorthaired, 10 lb. 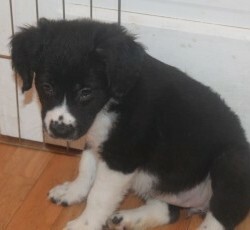 black and white, 8 week old male Retriever/Irish Setter mix (on his mama’s side) is one of 13 pups born to Misty. 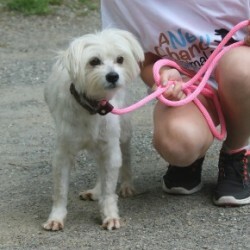 Lucie, a 20 lb., 2 year old, Schnauzer/Glen of Imaal Terrier mix is a gentle people dog. 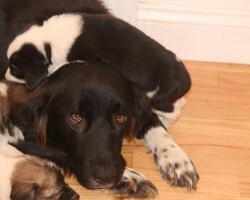 She attaches easily and is very loving, cuddly and affectionate. Nevada, a 9 week old, 10 lb. 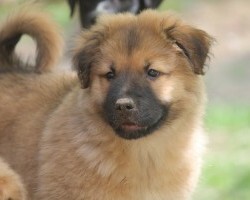 fluff ball of enthusiastic energy is beyond adorable with her sweet little face, standing ears, unique coloring (including a dorsal stripe), and playful demeanor. Monroe, a 10 lb. 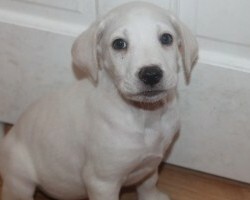 short haired white, 8 week old male Retreiver/Irish Setter mix (on his mama’s side) is one of 13 pups born to Misty. Murphy, a 10 lb., short haired black, 8 week old male Retriever/Irish Setter mix (on his mama’s side) is one of 13 pups born to Misty. 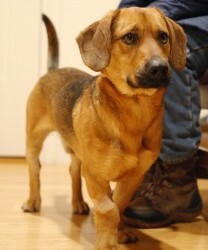 Beauregard, aka Beau, is a black and brown, male, Bassett/Corgi mix who is not full sized. At 38 lb. and with beautiful golden eyes he is simply a gem. 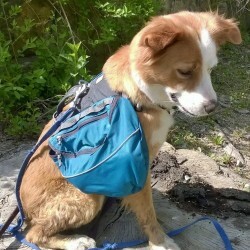 Dolly, a stunning 30 lb., 10 month old Sheltie/ Aussie mix is an absolute love. Sweet, quiet, and gentle her name simply reflects who she is. Friendly to dogs, who she loves chasing and being chased by, Dolly is just as happy to snuggle up on the couch for sweet pets. 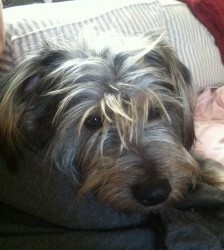 Snickers, a 25-30 lb., 2 year old, male, very soft wire-haired Schnauzer/Airedale mix is a real delight. 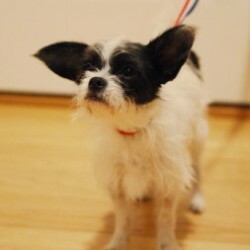 Dexter, a male, year and a half old Affenpinscher has a lot of goodness packed into his tiny 6 lb. frame. 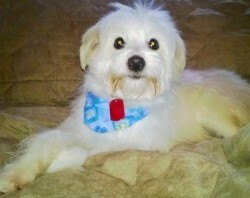 Colby, a 2 year old, 9 lb., very handsome white Maltipoo is simply a happy guy; he snuggles content in your arms or runs and explores in the yard. 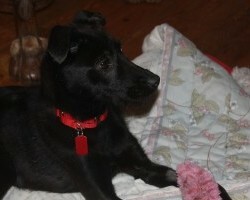 Zander, a male, 13 week old, 14 lb. Shepherd mix is an absolute love. 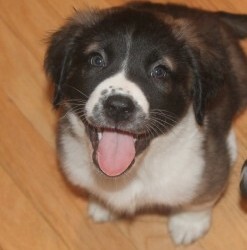 Cute as can be, cuddly, smart and playful, this guy is a lot of fun to have around. 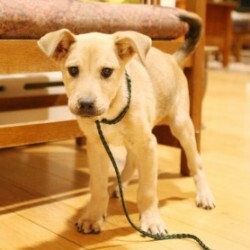 Biscuit, a male, 14 week, 18 lb., Chinook mix is a very yummy guy. 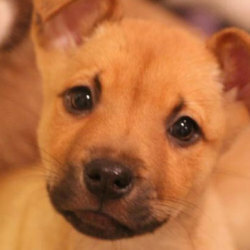 With his ears that fold in half, almost reaching his bright and beautiful eyes this guy is really very cute. 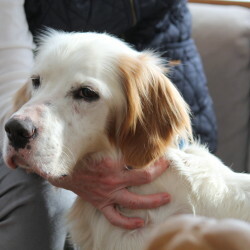 He is sweet, he is playful, he is well behaved and he is an absolute love. 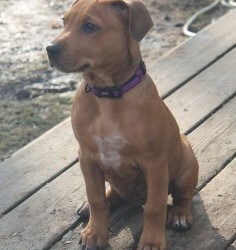 Lily, a 4.5 month old, female, Rhodesian Ridgeback mix draws accolades wherever she goes because she is simply a fabulous little girl. 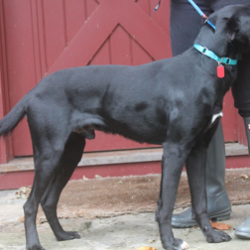 Jack, a 45 lb., 8 month old Smooth Collie/Greyhound mix is a tall, lanky and very sweet guy. Not yet fully comfortable in his body, he is like an awkward teenager with long legs and goofy ears; with a gleam of joy in his eyes, Jack is just a blast to watch.